The CD-Scale v2.0 is the latest hit from American Weigh Scales. 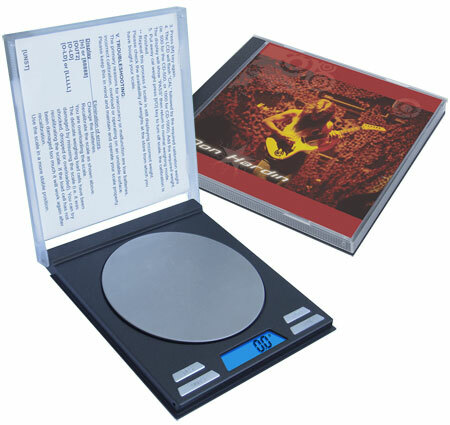 The CD Scale features a single-CD jewel case design with a large round stainless steel weighing platform. Includes 5 different CD insert styles or you can insert your own. The 2K-BOWL features a versatile weighing bowl and high precision for a variety of weighing tasks. The backlit LCD display helps make the numbers viewable and easy to read. This scale offers diversity with functionality. Use the bowl to weigh your ingredients or remove the bowl and place your items directly on the weighing surface. Need more surface? Take it one more step further. Using the tare feature will give you that extra control to use a larger flat surface for additional weighing surface. Clean up is easy and a snap; the sturdy and durable bowl is dishwasher safe. Want grams or pounds? Change modes with the press of a button. The AMW-5KBOWL makes the perfect kitchen pal. Its durable and user friendly design makes everyday kitchen measuring quick and very easy. The backlit LCD display helps make the numbers viewable and easy to read. This scale offers diversity with functionality. Use the bowl to weigh your ingredients or remove the bowl and place your items directly on the weighing surface. Take it one more step further. Using the tare feature will give you that extra control to use a larger flat surface for additional weighing surface. 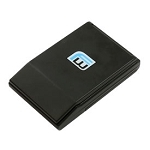 AC-650 is a durable and compact pocket scale with easy to use three key operation. The backlit LCD display helps make the numbers viewable and easy to read. The ingenious protective cover doubles as a sturdy expansion tray. With the smooth stainless steel weighing surface clean up is easy. 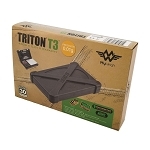 The Triton T3 digital scale is a tough scale! Its unique design features a fully padded outer rubber case. All of the internal components have been re-enforced and shock mounted. Resulting in a digital pocket scale stronger than any other in the world. This hard protective cover is great for keeping your scale safe when you aren’t using it…and it doubles as a nice weighing tray. Since it has edges, you can weigh all kinds of things that would normally fall right off the platform.